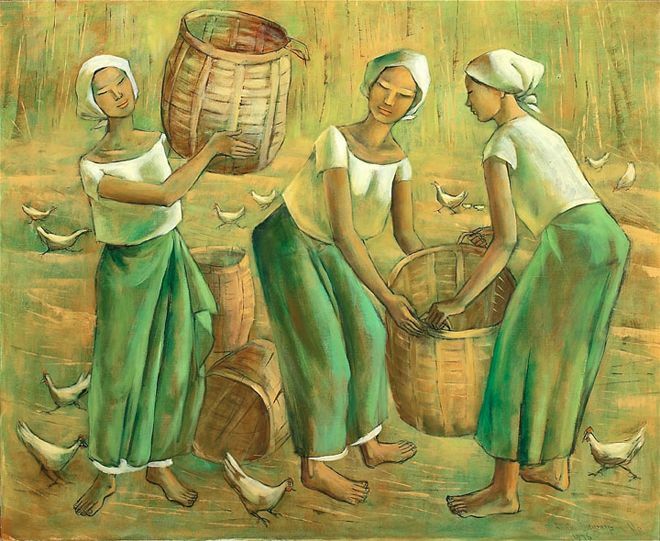 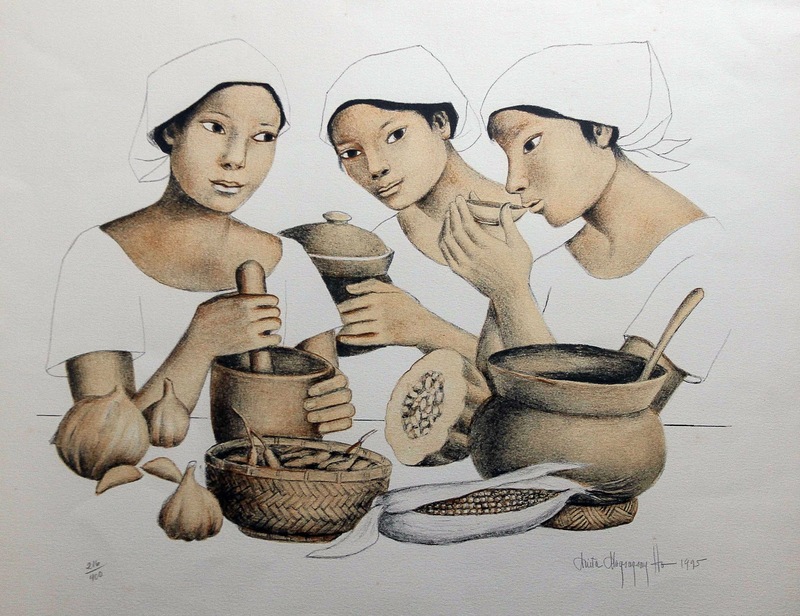 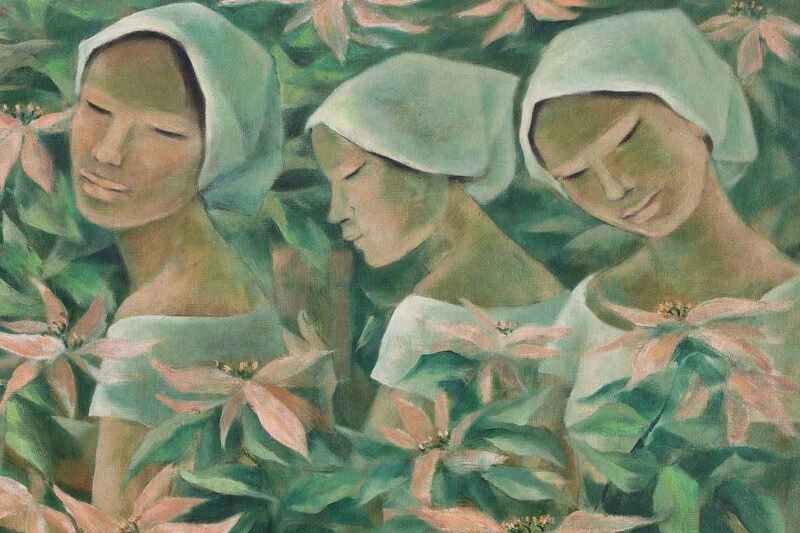 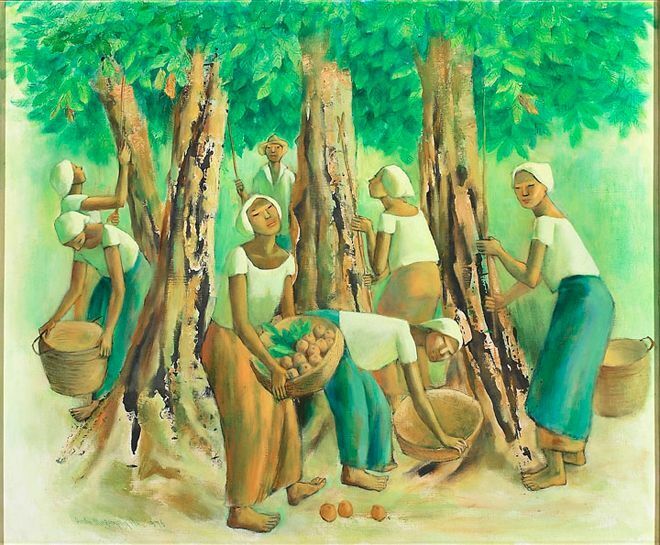 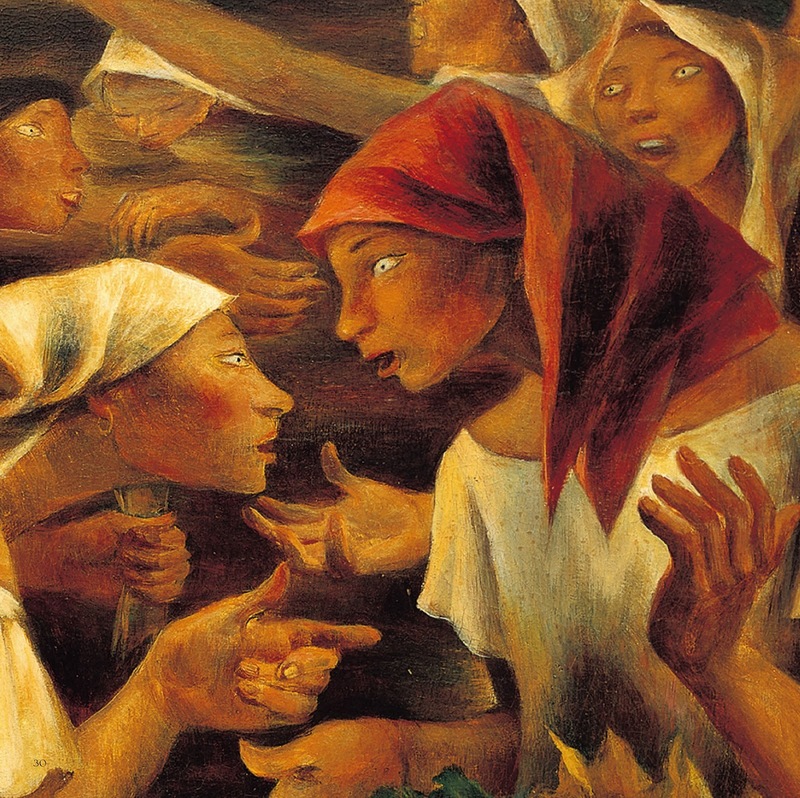 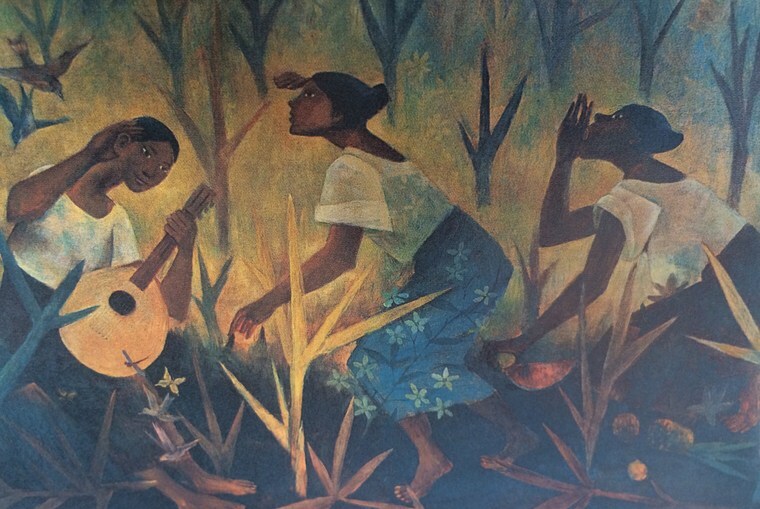 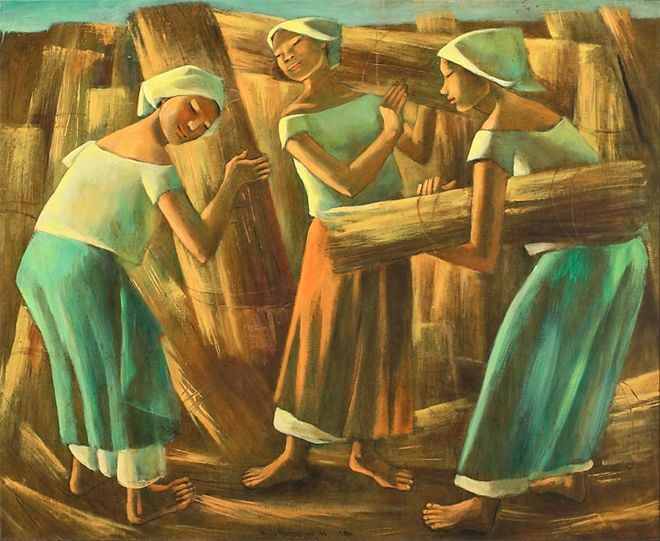 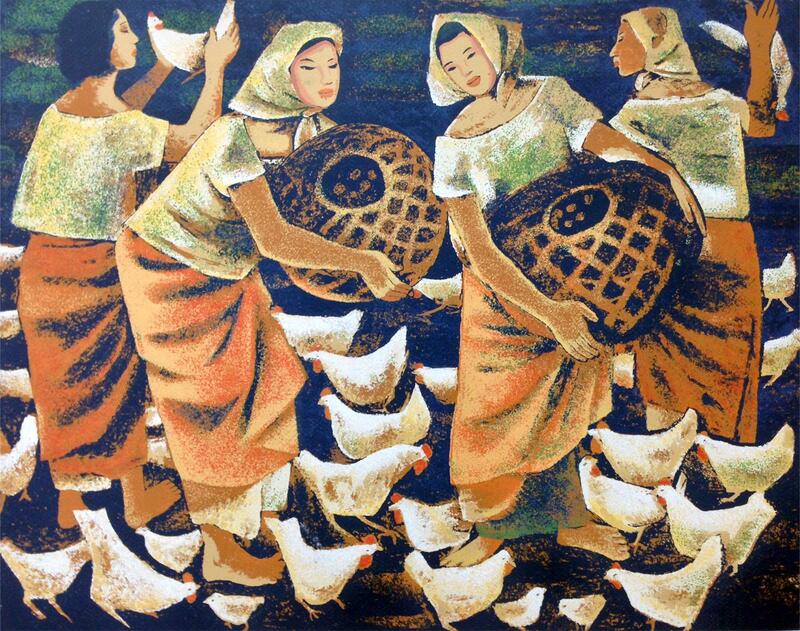 Anita Magsaysay-Ho (May 25, 1914 - May 5, 2012) was a Filipino painter. 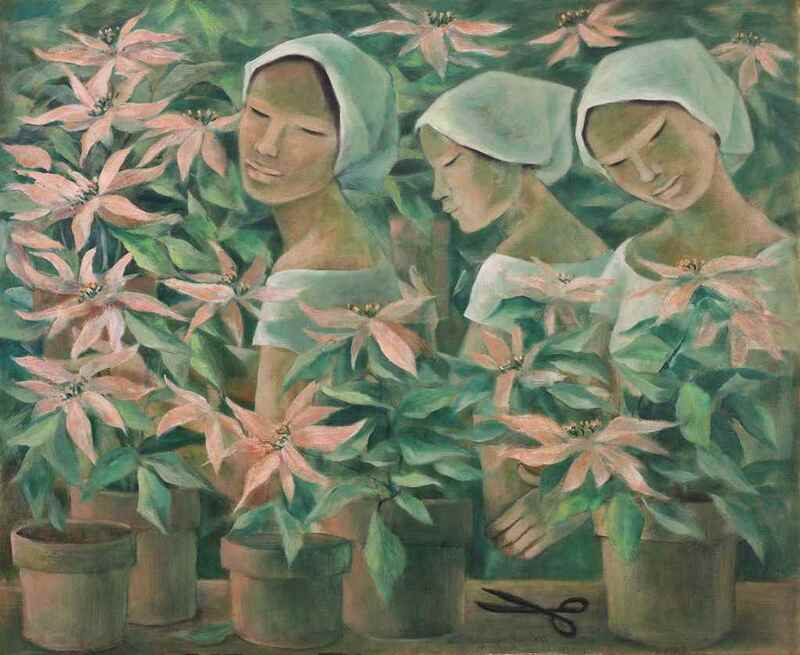 She was the only female member of the Thirteen Moderns, a standing group of Filipino modernist artists and in 1958 was chosen by a panel of experts at the six major painters of the country. 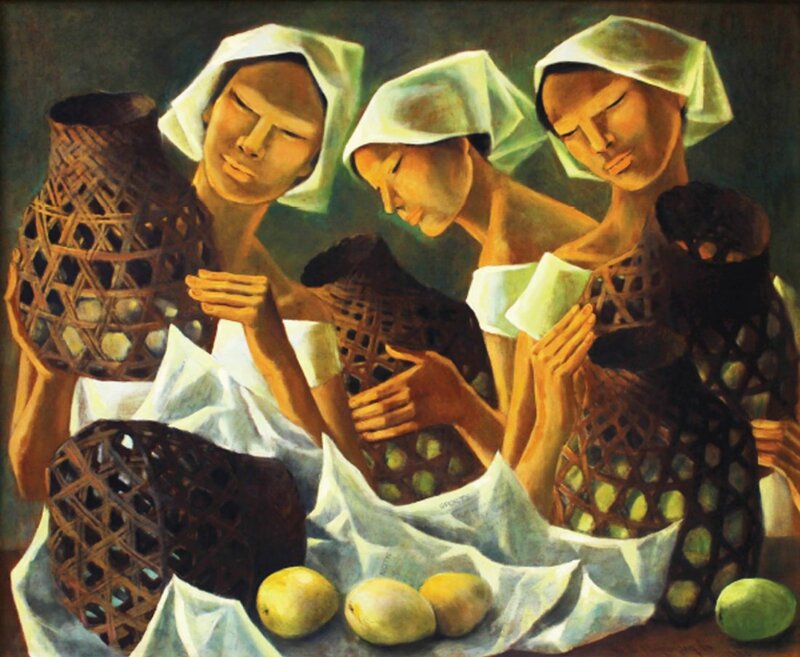 The most famous work of Magsaysay-Ho are subject to the beauty of Filipino women dealing with everyday issues. 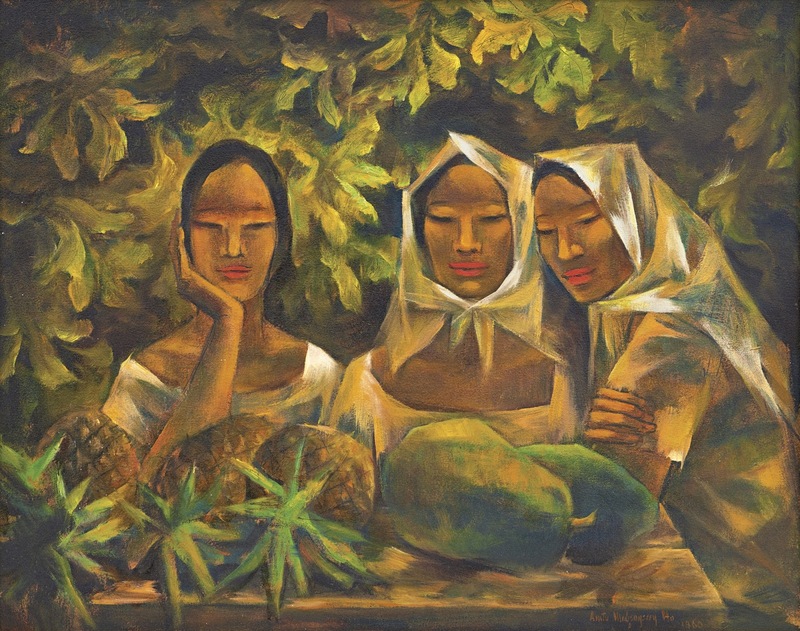 Anita Magsaysay was born in 1914 in Manila. 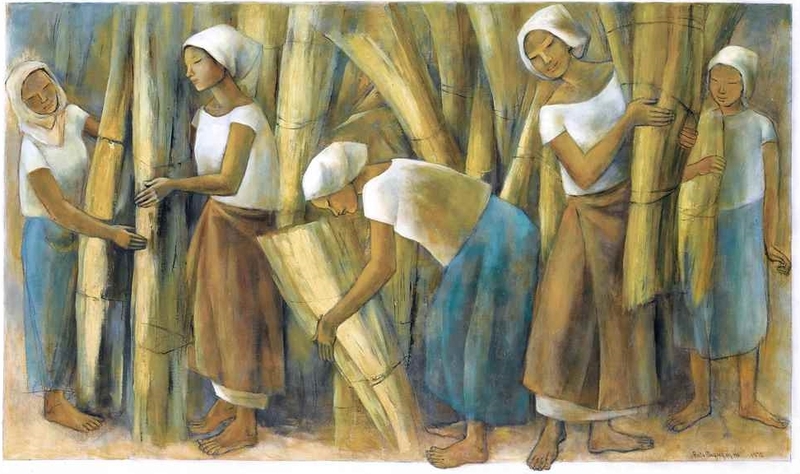 Her parents were Armilla Corpus and Ambrosio Magsaysay, an engineer. 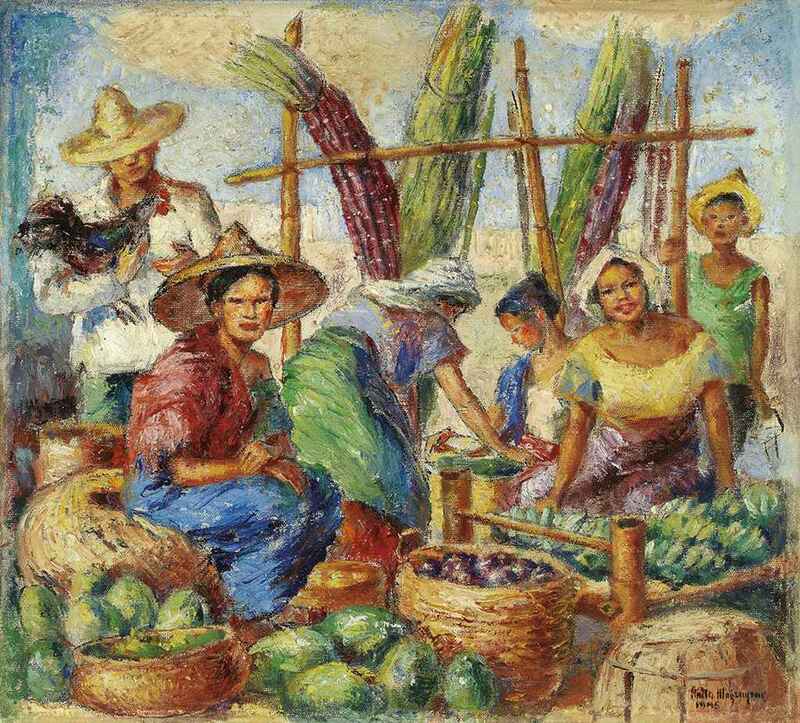 A cousin of Anita was the later Philippine President Ramon Magsaysay, whose father Exequiel was a brother of Anita's father Ambrosio. 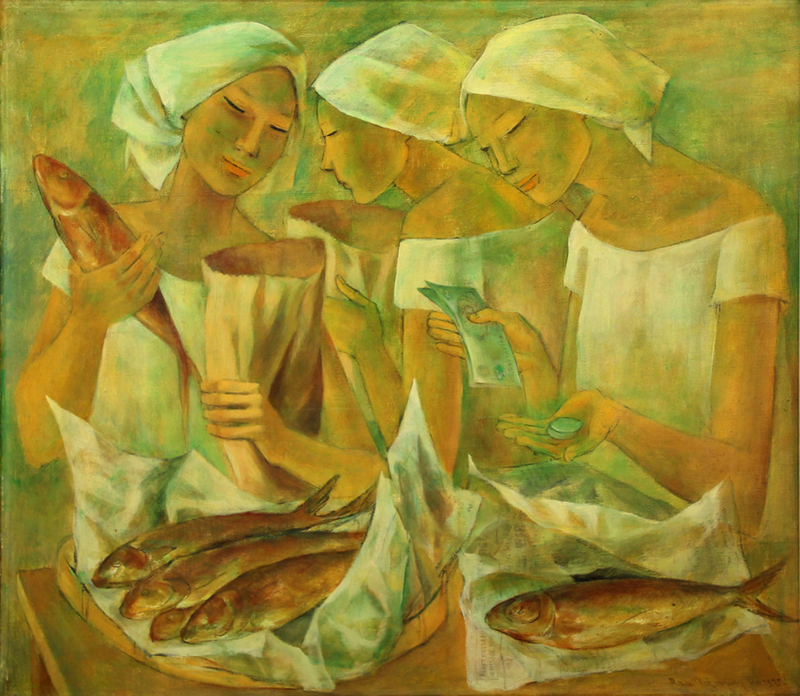 She studied at the School of Fine Arts of the University of the Philippines (UP), where they leskreeg of prominent Filipino painters like Fabian de la Rosa, Fernando Amorsolo and his brother Pablo Amorsolo. 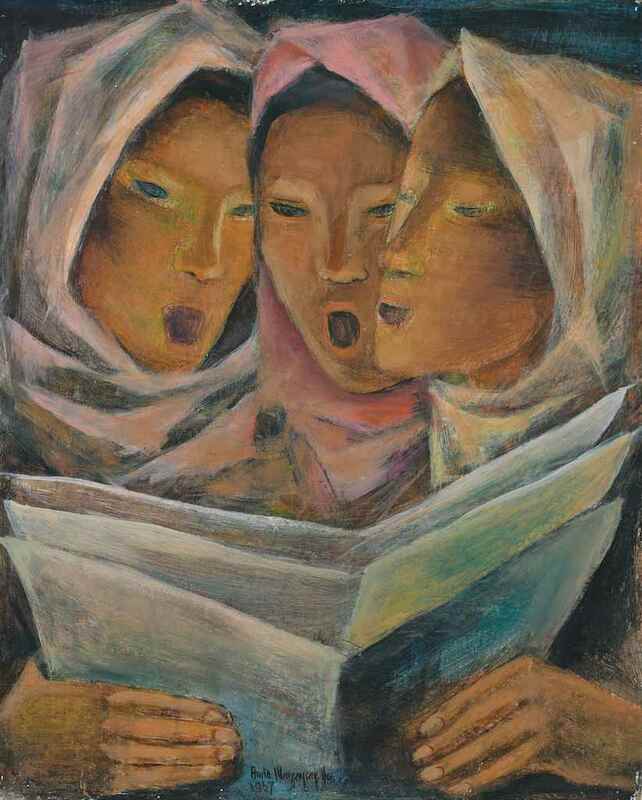 Then she followed UP's School of Design, with teachers as Victorio Edades and Enrique Ruiz. 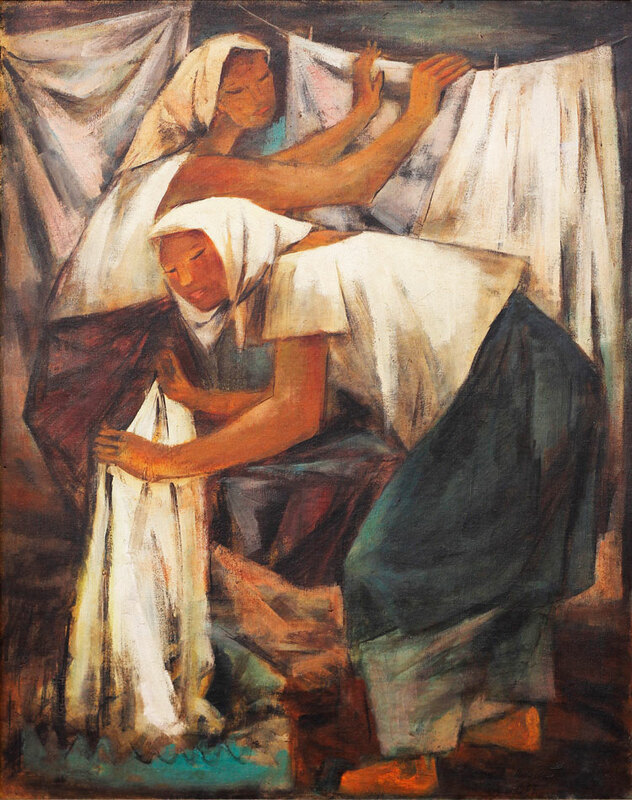 After her studies at UP, she left in the 1930s to the United States, where she studied at the Cranbrook Academy in Michigan and gave painting and drawing lessons in New York City. 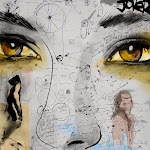 In New York she met Robert Ho from Hong Kong. 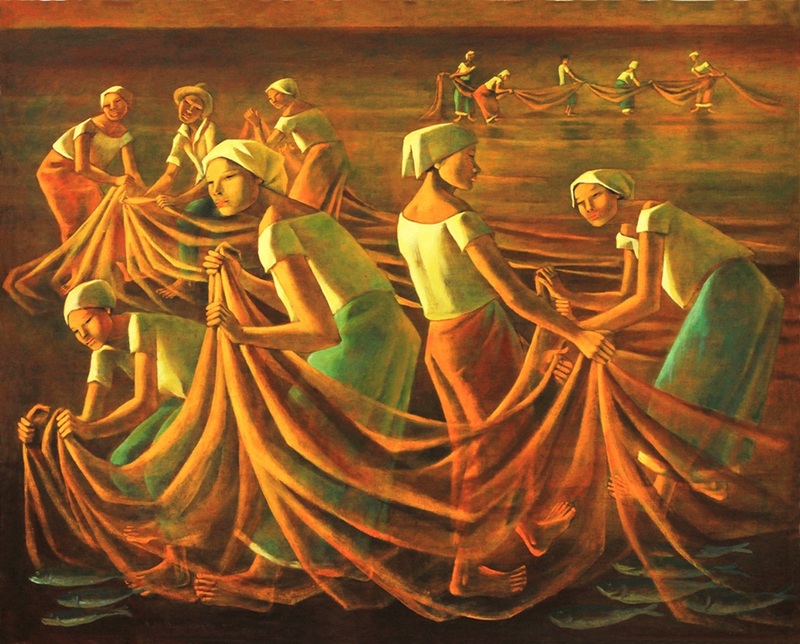 They married and moved to China, where Ho's shipping industry company, Magsaysay Inc., began. 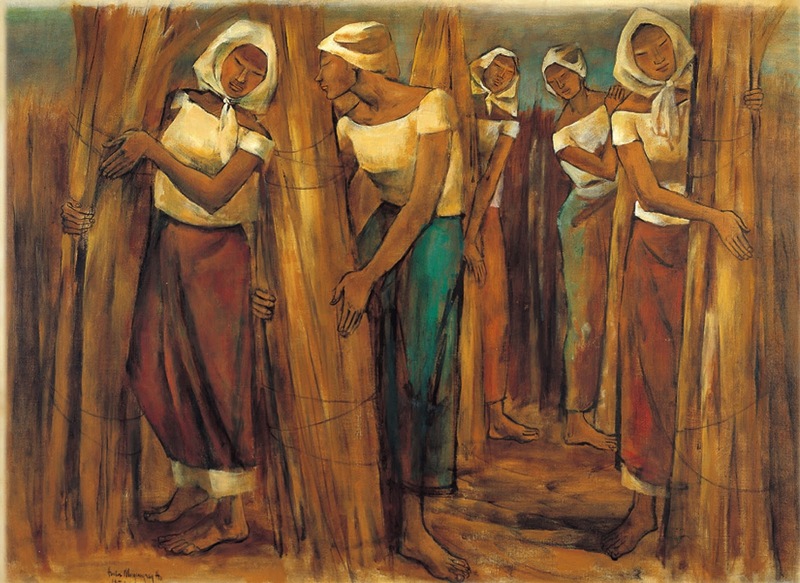 The years after the couple had five children and they moved because of Ho's work frequently. 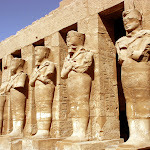 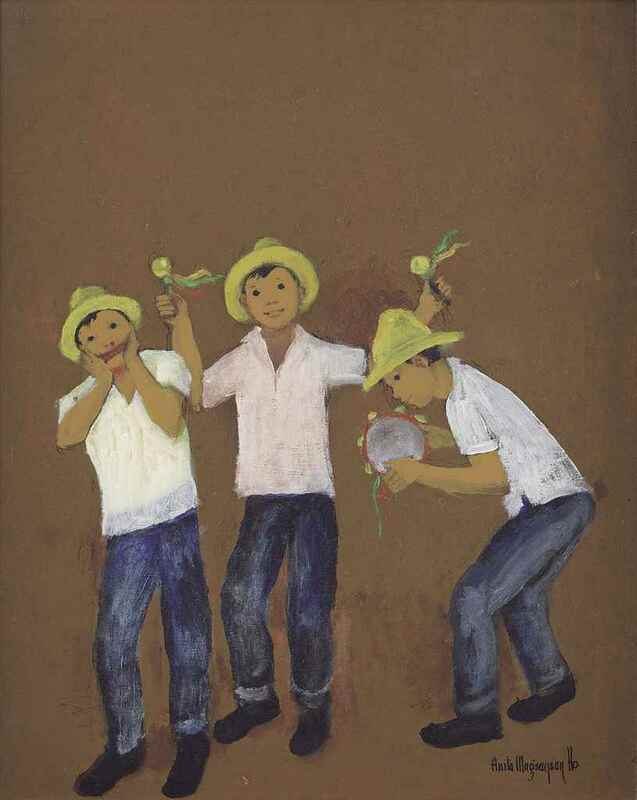 They lived in Brazil, Canada, Hong Kong and Japan. 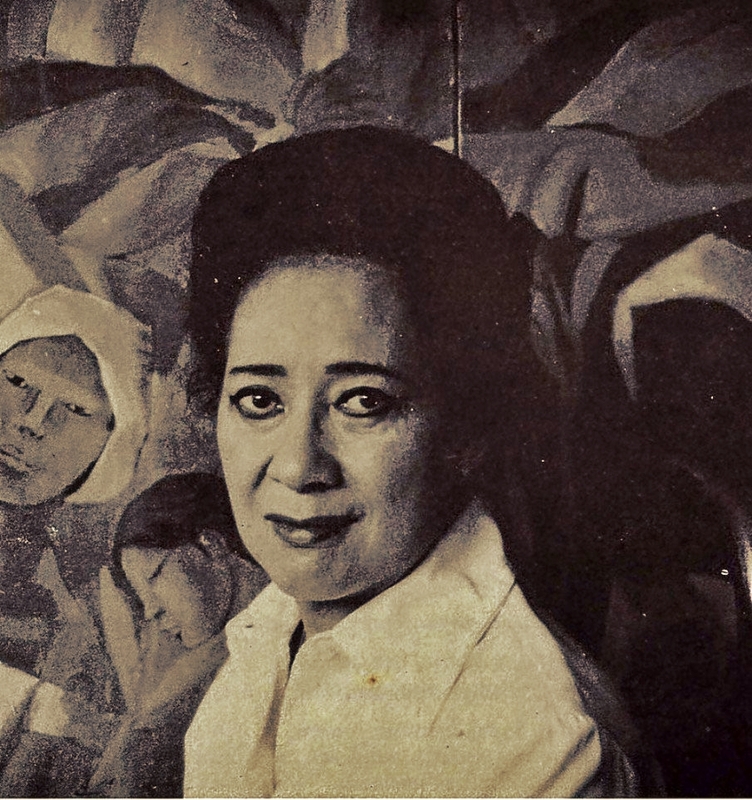 Wherever she lived, Anita had access to a studio, where she spent a lot of time to paint. 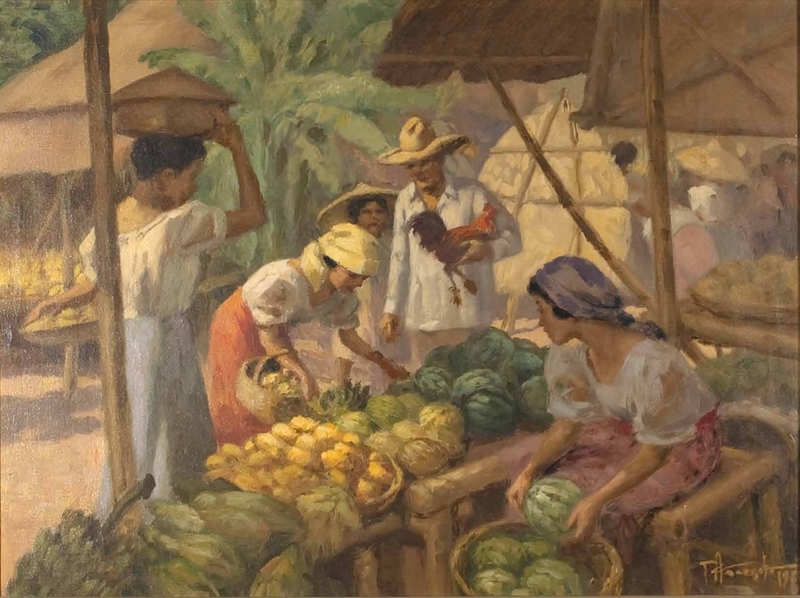 In the early 1940s, the influence of her teacher Fenando Amorsolo was clearly visible, both in terms of subject and brightness of the paintings. 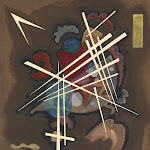 Later, her work evolved toward modernism, which, among other things, expressed in its Cubist style. 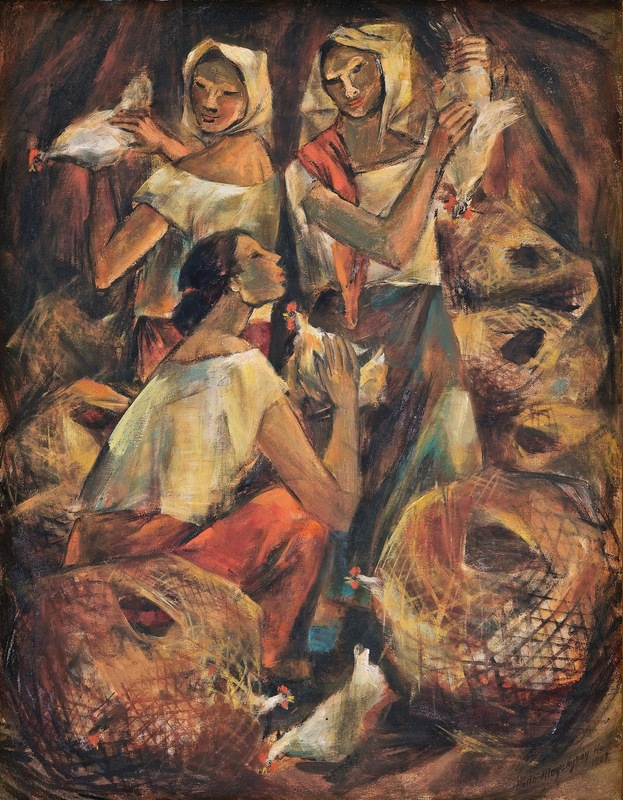 She was one of the Thirteen Moderns, a group of Filipino modernist artists. 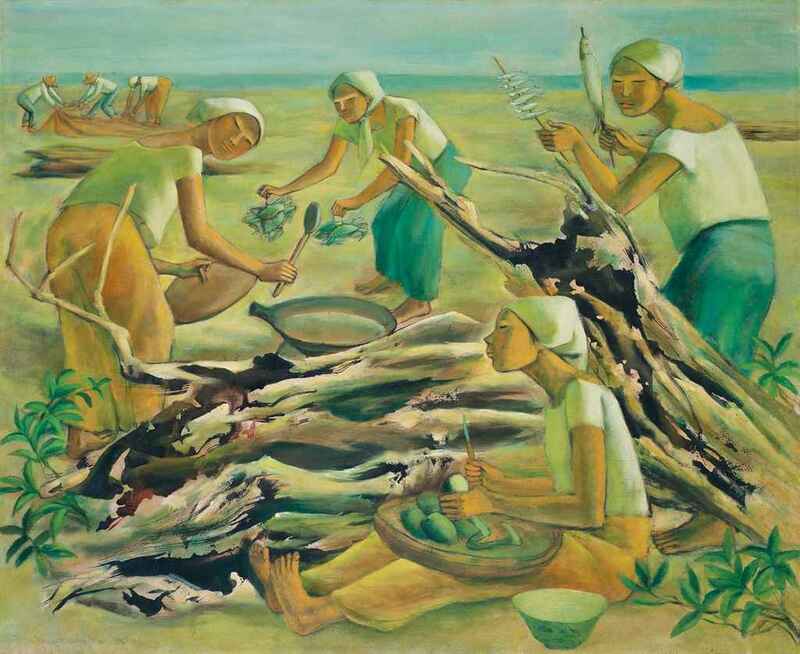 On October 3, 1999, the sale of her painting 'In the Marketplace" in 1955 at Christie's in Singapore $ 669,250 (US $ 405,360) on. 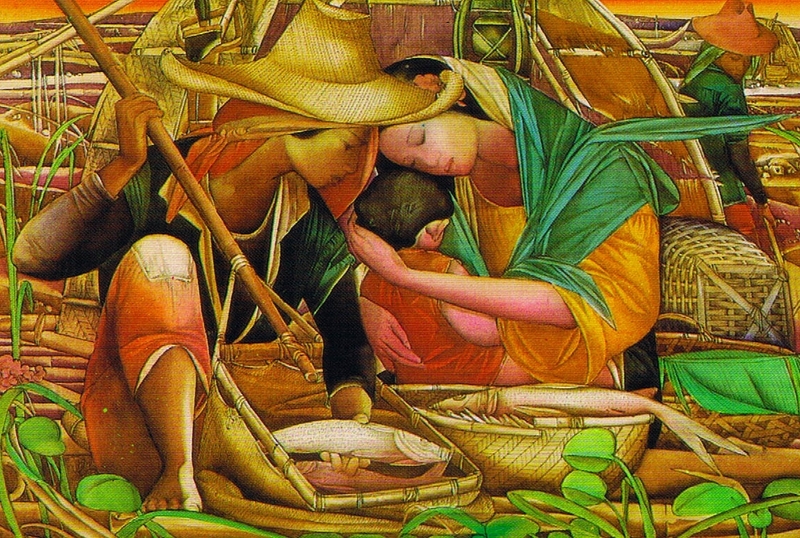 This was a record for a Filipino artist during his lifetime. 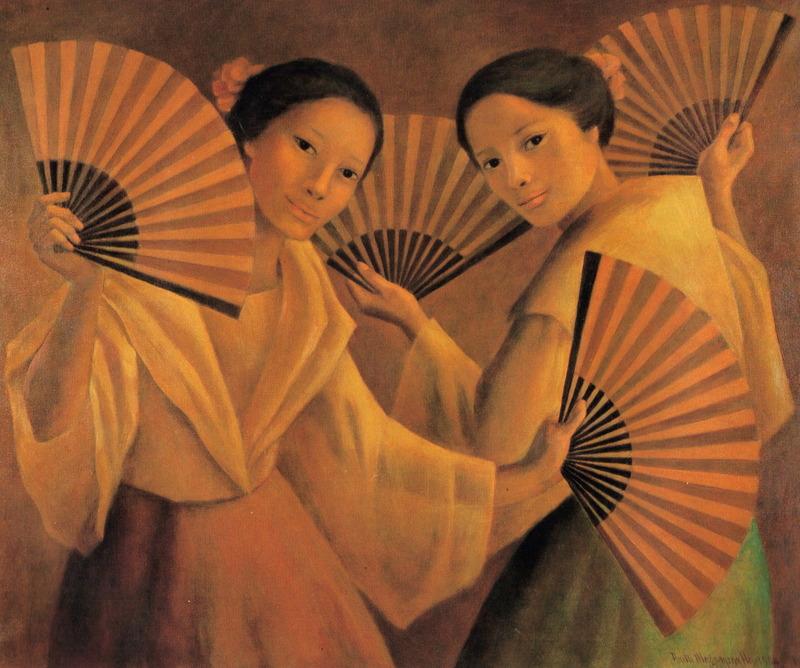 In 2005, Alfredo Roces wrote a biography of her, called "In Praise of Women". 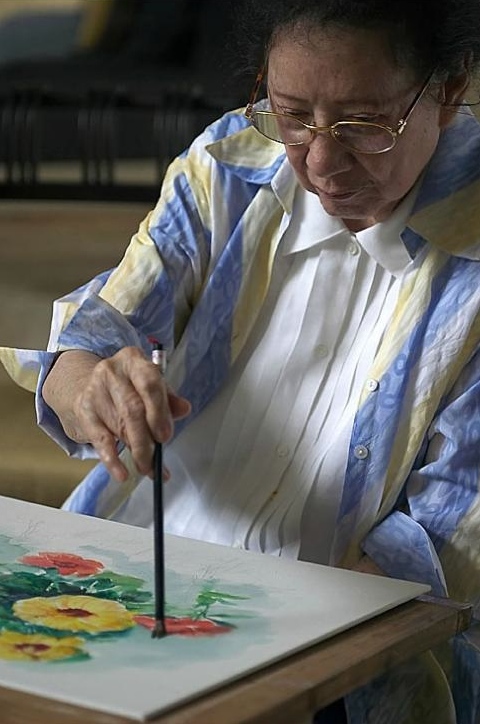 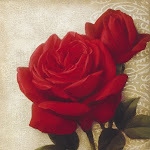 She painted through to old age, until her 2009 stroke. 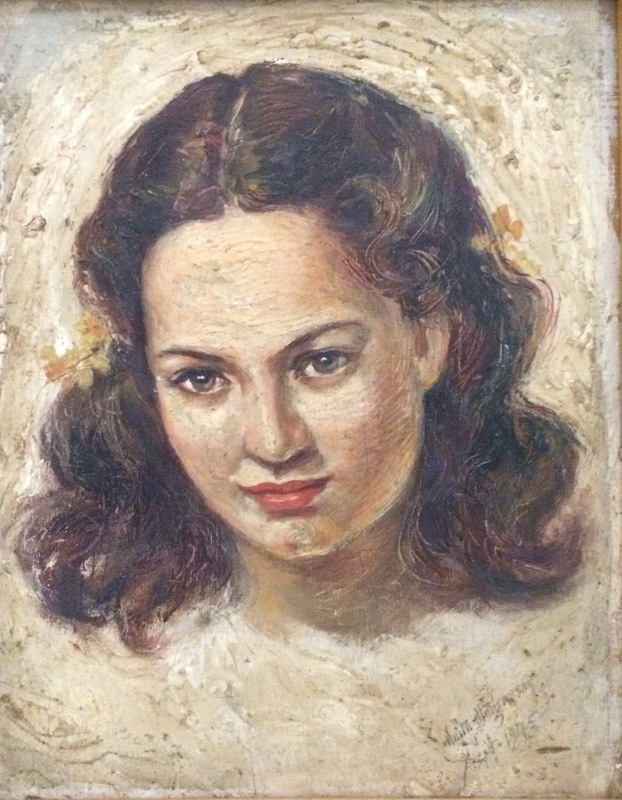 She died three years later, just three weeks before her 98th birthday. 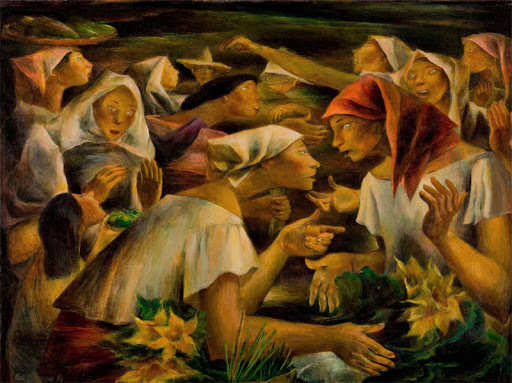 A senate resolution was filed by Senator Franklin Drilon recommending Magsaysay-Ho to be conferred the National Artist Award for her contributions to Filipino modern art. 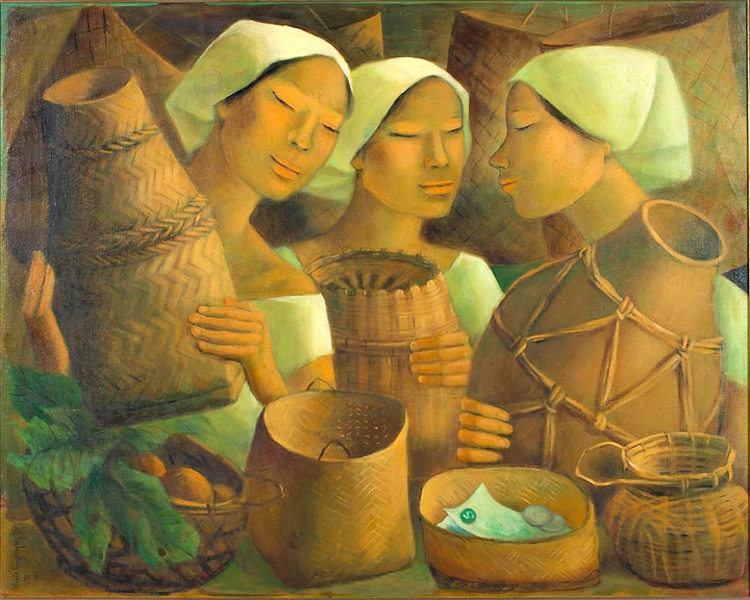 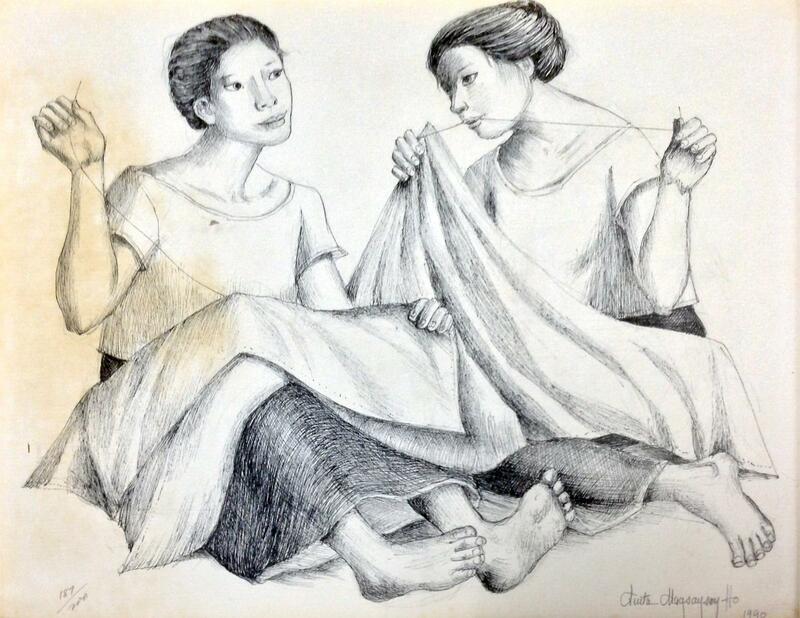 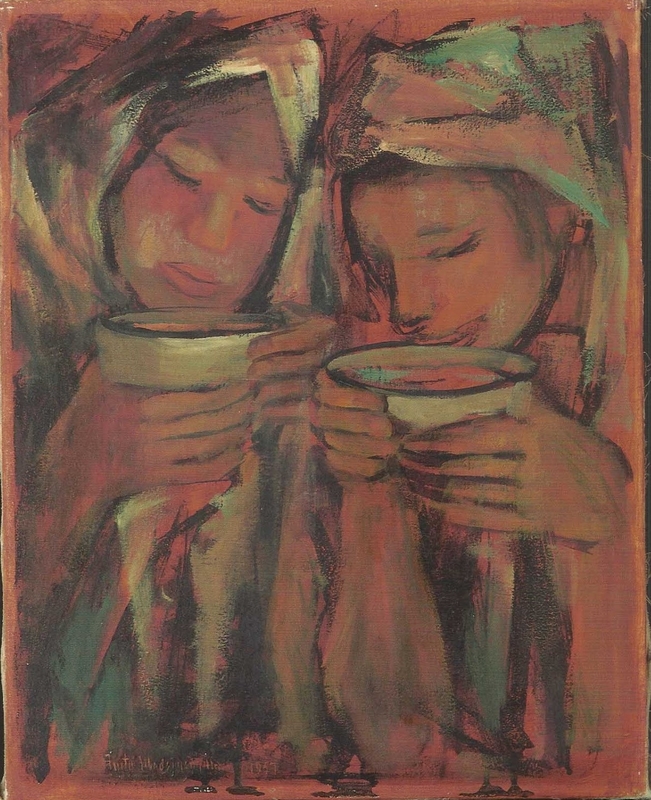 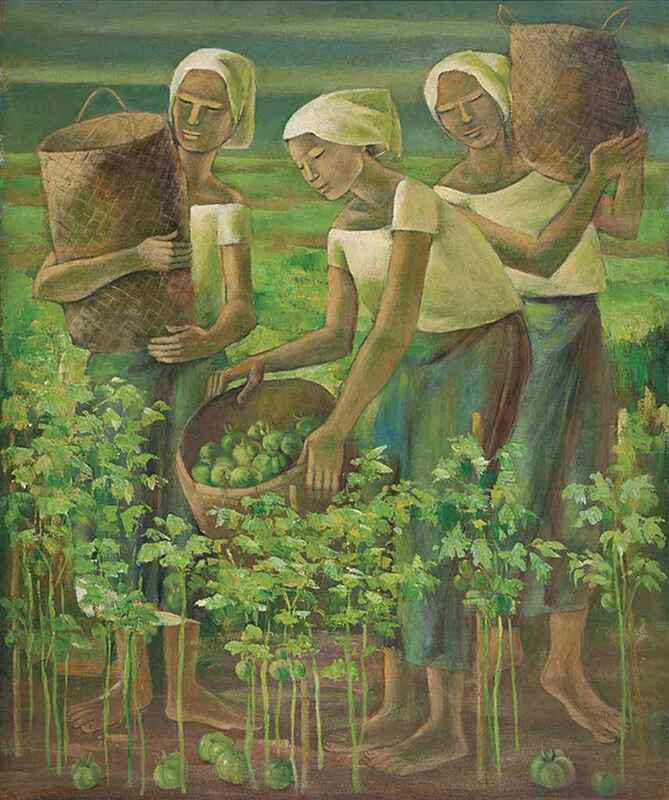 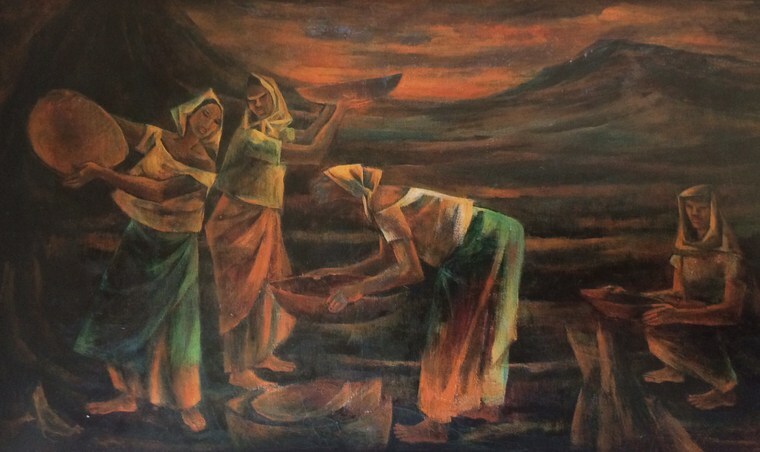 1962 - 2nd prize of The Philippine Art Association (PAG) for "Trio". 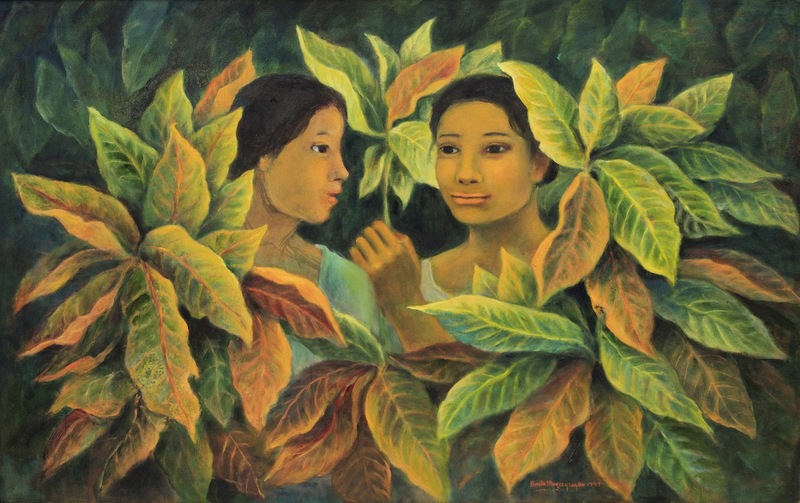 Anita Magsaysay-Ho (1914-2012) è stata una pittrice Filippina. 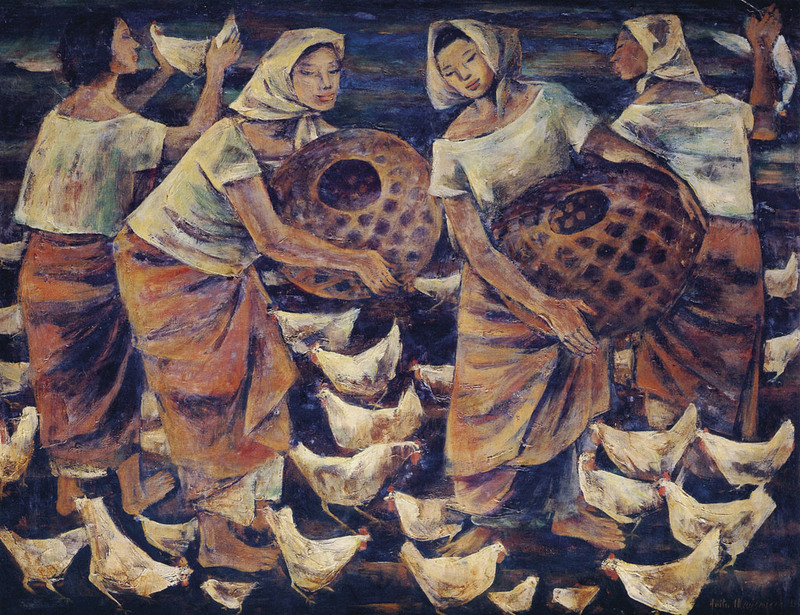 Ha studiato presso la Facoltà di Belle Arti dell'Università delle Filippine (UP). 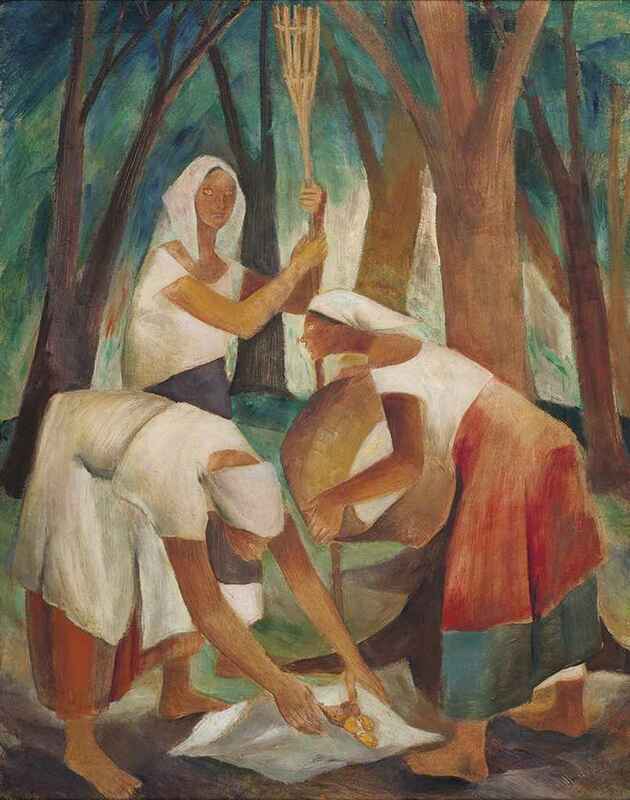 Poi ha seguito la School of Design e dopo gli studi ha lasciato la sua terra negli anni '30 per trasferirsi negli Stati Uniti, dove ha studiato all'Accademia di Cranbrook di Michigan e ha tenuto lezioni di pittura e disegno a New York City. 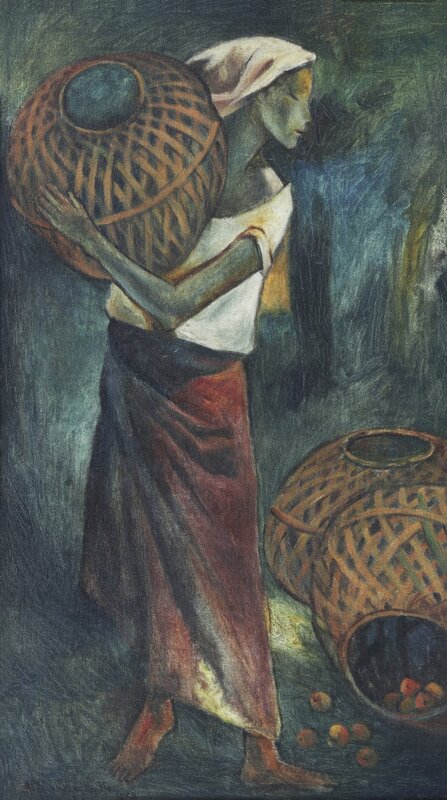 Nei primi anni '40, era chiaramente visibile l'influenza del suo insegnante Fenando Amorsolo, sia in termini di soggetto che di luminosità dei dipinti. 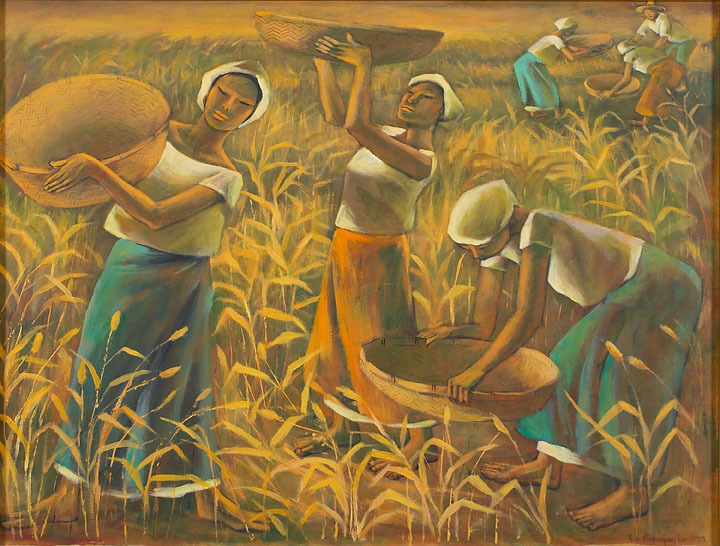 Più tardi, il suo lavoro si è evoluto verso il modernismo, che tra l'altro si è espresso nello stile cubista.